Have kids roll marbles on a smooth and rough surface. What surface makes the marble roll the fastest? 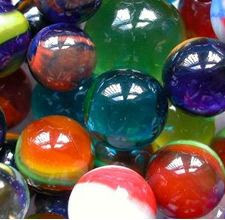 Collect marbles and various other objects and test buoyancy. What sinks and what floats? Now, experiment with how marbles react to fluids with a higher viscosity than water. 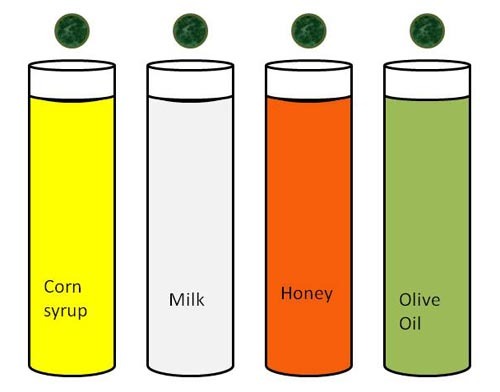 Drop a marble in each of the following liquids: corn syrup, milk, honey, and oil. Explain that thicker liquids have a higher mass and make the marble move slower. 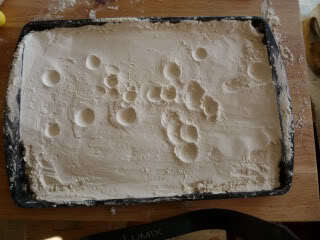 Bake marbles in the oven for a crackling effect. 1. Preheat your oven to 450. 3. Then, transfer marbles to a bowl of ice water. 4. Finally, dry them off and enjoy! Defy gravity with a marble and a glass! Will the marble fall out when the glass is flipped?